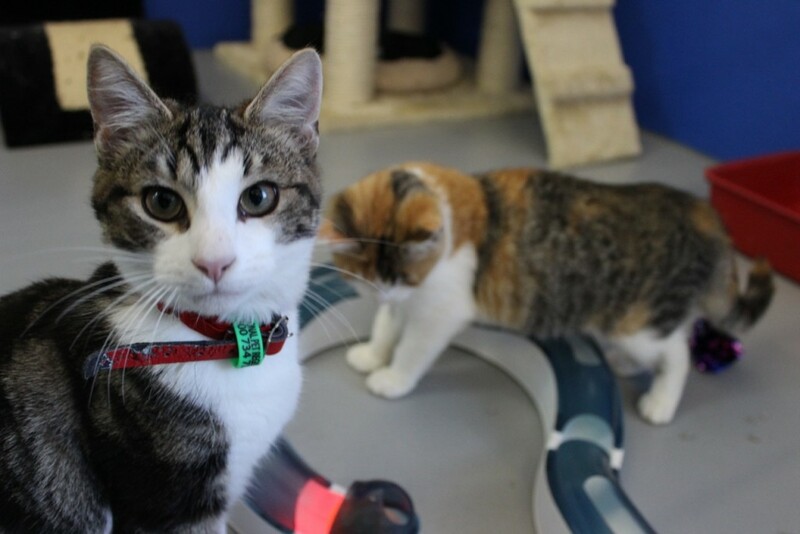 If you frequent our cat adoptions pages on The Lost Dogs’ Home website, you will no doubt have seen our eclectic range of adorable cats of all ages, personalities and colours. Each has their own unique qualities, however they all share a common need – to find a loving home and family to call their own. For those of us fond of the special company of felines, one cat may not be enough. But perhaps you may have your heart set on second one, but are concerned that he or she may not get along with your cat at home. Well, you will be pleased to know that two is not always a crowd for our feline friends! Cats can be social animals who enjoy interaction with humans and animals, and even though they generally prefer independent living, some felines can quite happily coexist with other cats. Where possible, it is advised you introduce two cats to a household at the same time. However, if this isn’t possible and you have your heart set on a second cat, it’s worth contacting our shelters or coming in to speak in person with one of our cat attendants. They will happily chat through your situation and offer personalised advice on finding that second, perfect feline match for your family. In the meantime, there are a few things you can consider. Cats are territorial; they like their own space and will defend their territory against intruders. While some cats will get along famously and spend hours curled up on the couch grooming each other, this isn’t the case for all cats. Thankfully with time, many cats will actually work out living arrangements without any major dramas. Multiple cats will often divide the house into “mine”, “yours” and “ours” and any trespass may be met with a hiss and a swipe. You should be careful to respect the boundaries establish and accept any small altercations as all being a part of the natural way of the cat. One way to ensure that everyone gets along is to make sure that they start off on the right paws from the very beginning. When introducing a cat into the house it’s best to keep them confined to an adjoining room to your existing cat, allowing them to smell and hear each other for the first few days. You can even swap their bedding each day to get them used to each others scent. After a few days, introduce them to each other under supervision in an area where they can get away from each other if they choose. Give them plenty encouragement and pats when they are tolerating each other’s company and try to avoid disciplining them if they fight. Then, calmly separate them into their own spaces— remember tense owners will make for tense cats! To learn more about each of our adoption candidates, contact your nearest Lost Dogs’ Home Shelter.